Valiant (# ) (1926-1930), steel-hulled private yacht, 162 feet in length, launched as Aras on the east coast in 1926 for Hugh Chrisholm. Shortly after her launch, Aras was sold to Charles Howard of Howard Motor Company, and renamed Valiant. Her homeport became San Francisco, and she was a frequent visitor to Southern California. She was one of the largest private yachts of the day. 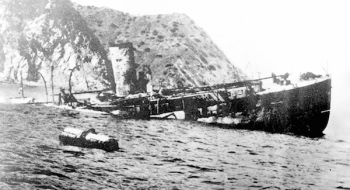 On December 13, 1930, while anchored at Descanso Bay, Santa Catalina Island, the boat caught fire from a gasoline spill, foundered and sank. Valiant was salvaged and picked over for many years, including by legendary salvor, Mel Fisher. 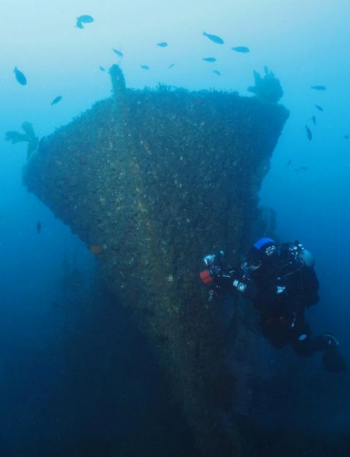 Today the wreck serves as an easy dive destination at Santa Catalina Island. On November 6, 2010, diver, Steve Eggelston (55), drowned while SCUBA diving near Valiant and Casino Point.